A global movement of 5.5 million young people making positive change. Beyond everything they do to keep us safe, our military service members spend long periods of time away from the comforts of home, family, and friends. This can lead to feeling disconnected from the people and places they love and cherish. That's why DoSomething.org and Johnson & Johnson teamed up to launch the Smiles for Soldiers campaign, which activates young people to send heartfelt thank-you cards to those in the military. Every military service member could use a little reminder of how much they are appreciated and loved! 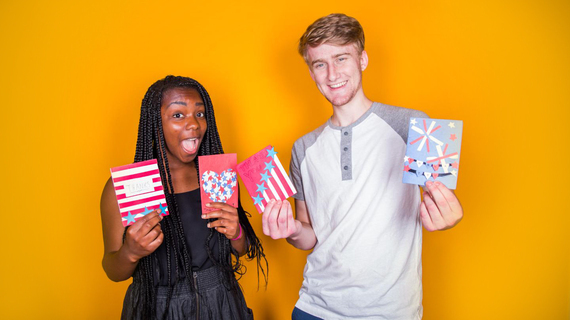 Over 30,109 DoSomething.org members from across the country have signed up to do their part to help our service members feel connected to home and to the people and country they serve. 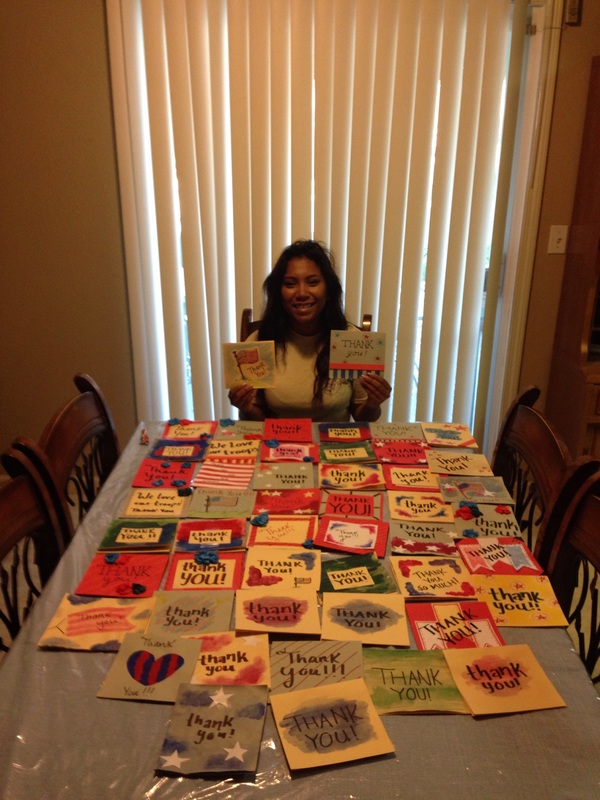 Here are 11 of their sweetest and most creative expressions of gratitude. 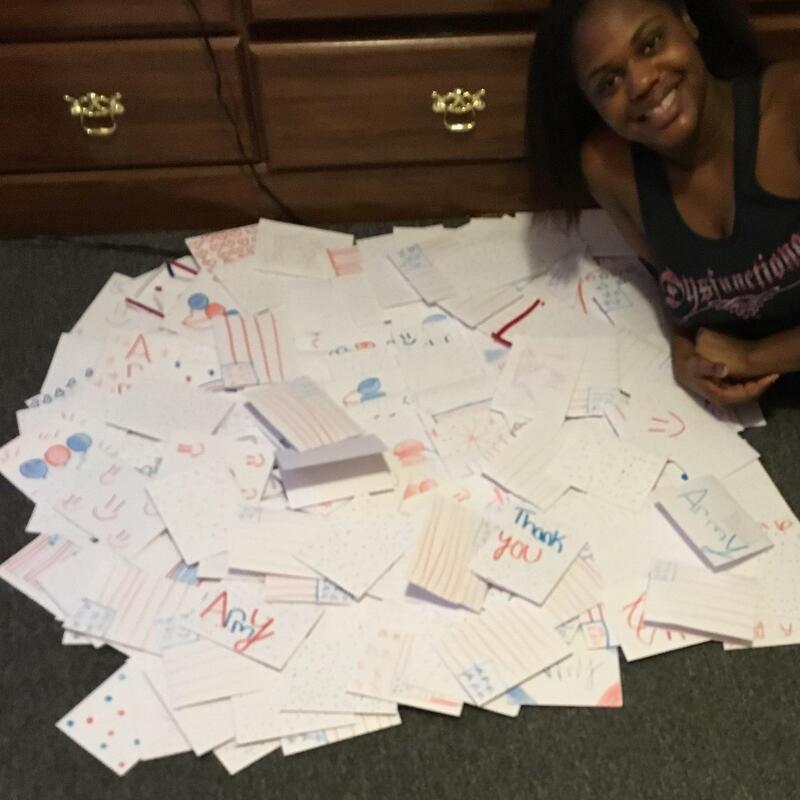 Jacarrie, 17, made a whopping 206 thank-you cards to show soldiers her appreciation. "This is important to me because this is a great way to show how much I love that we have so many brave men and women fighting for our country." Mason, 17, crushed the Smiles for Soldiers campaign with 68 colorful, handmade thank-you cards. 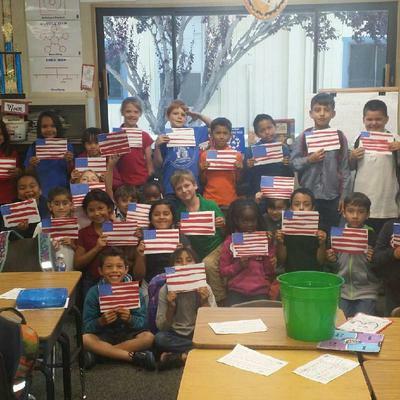 "My uncle, grandpa, and great grandpa served our country in the military! I want to thank all who fight for our freedom!!" Kassandra, 18, rocked Smiles for Soldiers and made 50 original cards expressing her gratitude to military service members. "To my family, but also to all of the other Americans who sacrifice their lives so we can see another day." 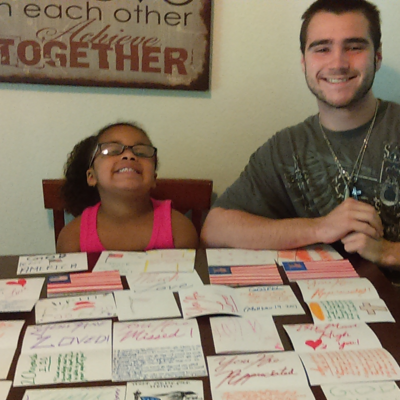 Sara, 21, created 74 thank-you cards featuring our beloved stars and stripes. "This campaign is not just something I'm in for the reward. This is also important to me because I have a brother who is overseas, and a father who once served in the military. Honoring our troops in any way that I can is deeply cherished, and such a privilege to be a part of." 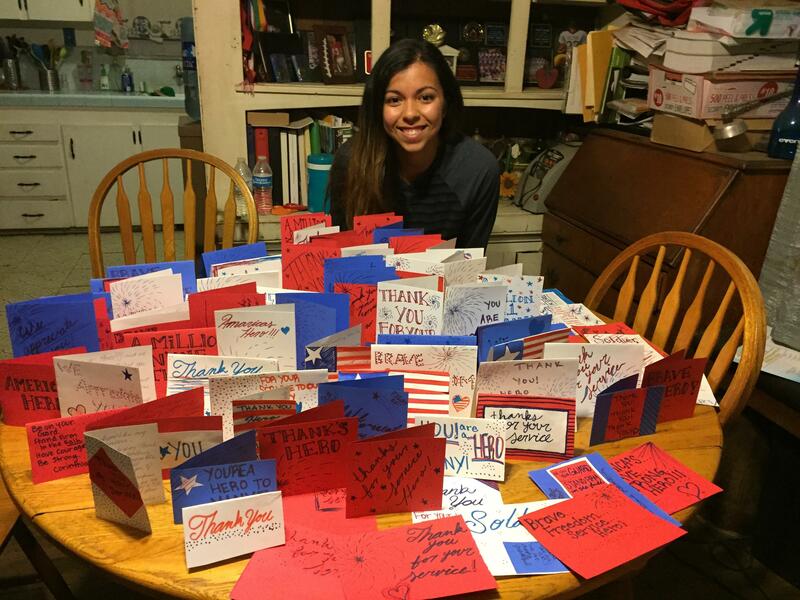 Helene, 20, crushed the Smiles for Soldiers campaign by making 140 gorgeous thank-you cards for service members near and far. "My grandfather was a POW, and I know how much he would appreciate it if kids did this for him and his fellow soldiers. Our service members do a lot for our country and this is the least I could do to show my appreciation for them! A great and fun way to show the aloha spirit and give a huge mahalo (thank you) to them! They rock!!!" 6. Thanks from the whole family! 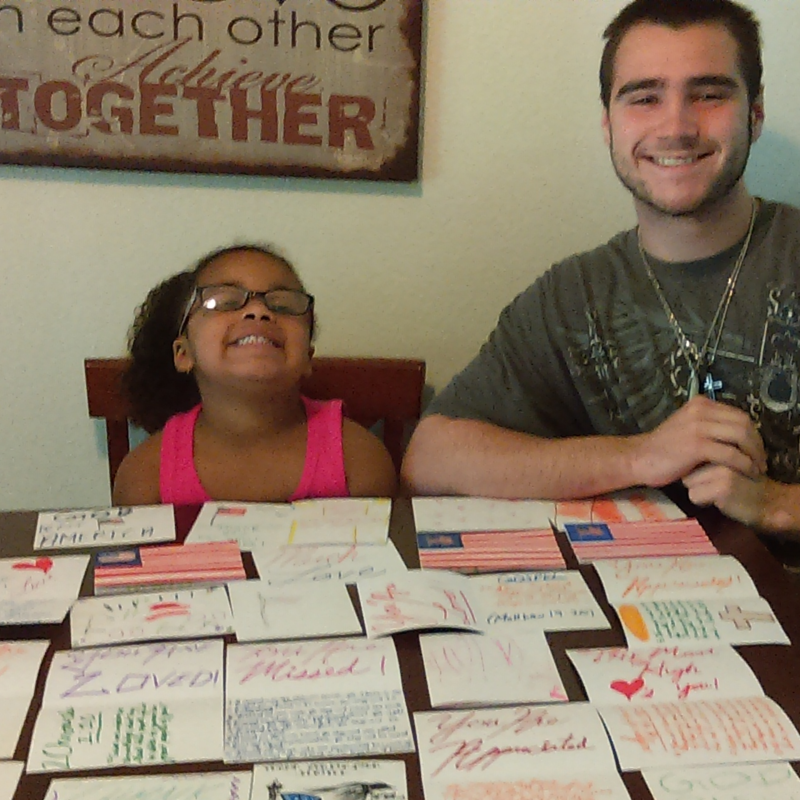 Markell, 20, and his little sister teamed up to make 29 creative cards to show how much they care for those serving our country. "This campaign is important to me because each day we have freedoms that are protected by brave and courageous men and women in service. It is imperative these souls are reminded they are cared for, loved, and appreciated." 7. A whole class of thank-yous! 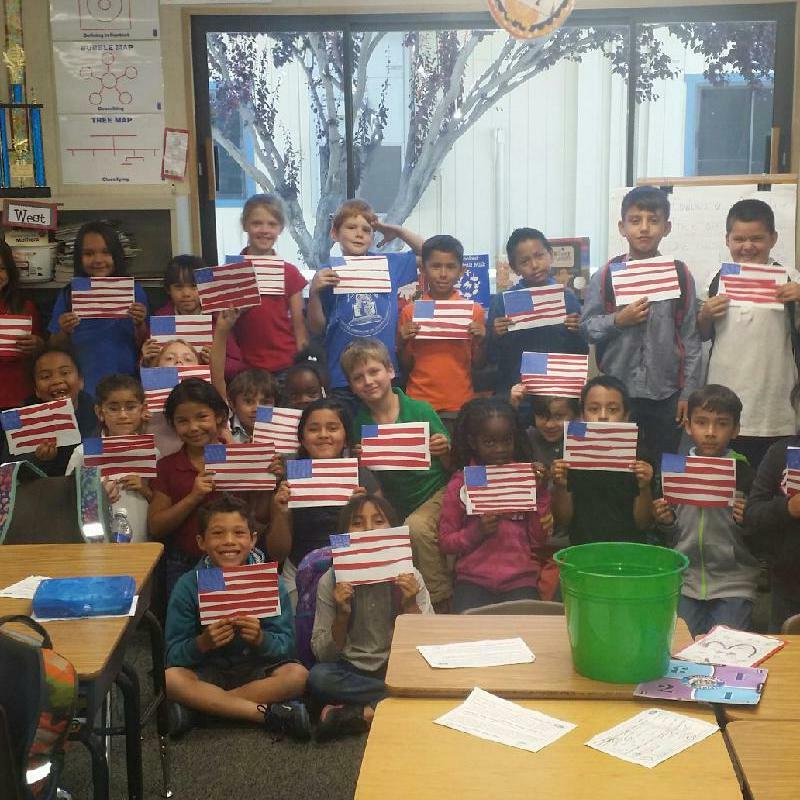 Hannah, 20, and her second grade class showed their love for military service members with 30 flag-themed thank-you cards. "I have many friends and family who have and are risking their lives to fight for our country! We thank all the men and women who chose to protect us." 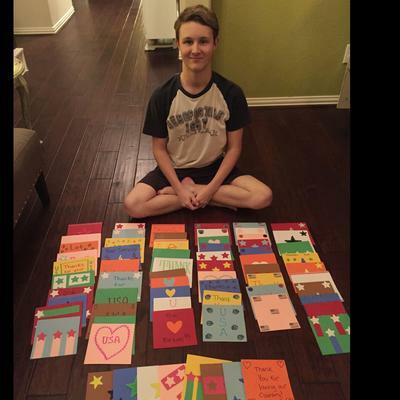 Anthony, 18, made 10 colorful and heartfelt cards. "Each day that we are asleep or awake we have soldiers fighting for our lives so we can remain free." 9. "Forget Captain America. THEY are the real superheroes." 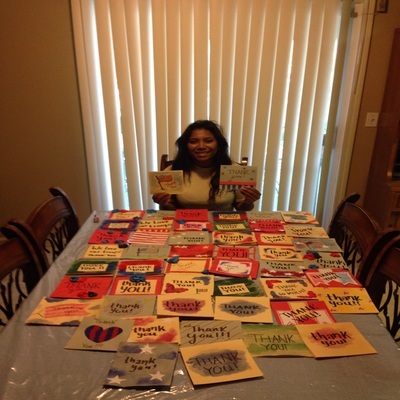 Joanne, 18, made 8 superhero-themed cards for our service members. "I recently got obsessed with superheroes. I binged on The Avengers, two Captain Americas, and the X-Men movies last week, and I was in awe of how badass they were. But I am not one to blindly fall into the mainstream superhero phase. I know they're real. You must know that you are appreciated." 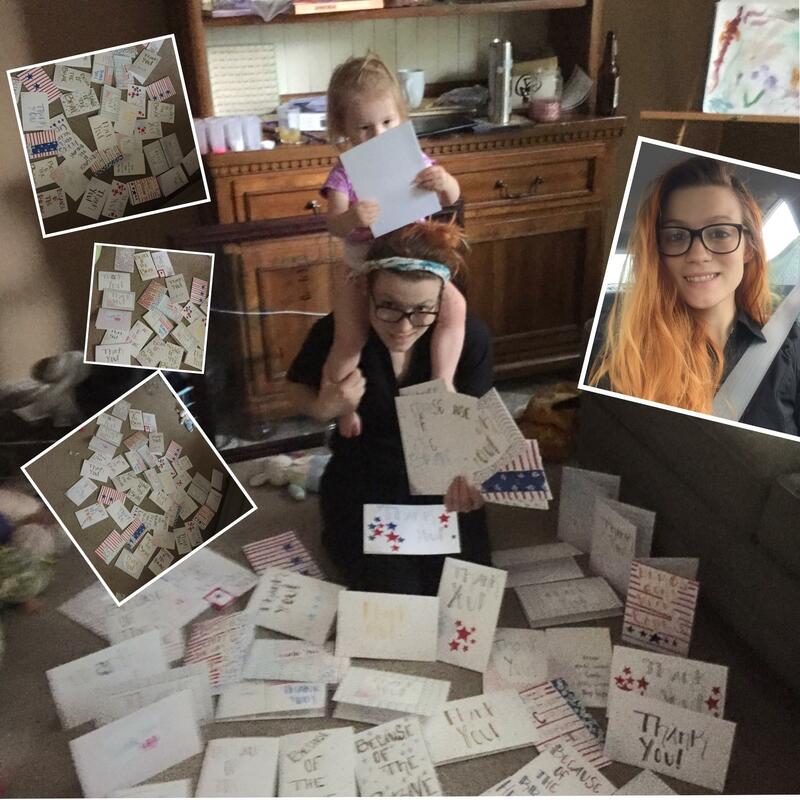 Corrin, 24, made 44 heartfelt thank-you cards letting our troops know how much she appreciates their tireless work. "Both of my grandfathers were in the Navy. Several of my friends have served and been deployed. Soldiers may not feel like heroes, but in my eyes they are. They deserve respect and recognition for all of their sacrifices for the things America so easily takes for granted." 11. Stars and stripes forever! 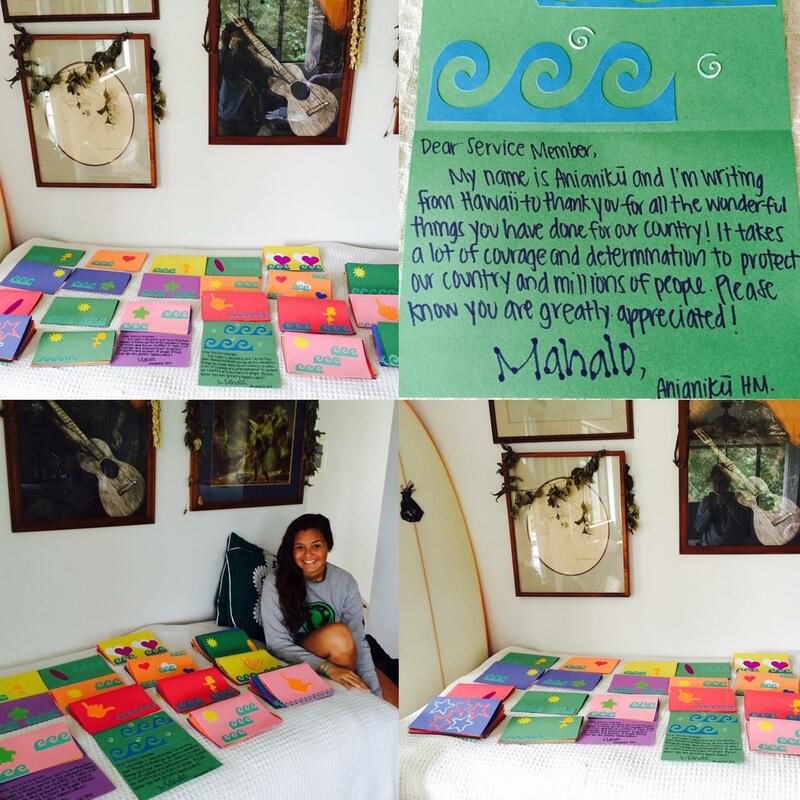 Bhakti, 17, made 55 beautiful and artistic thank-you cards to show her gratitude for men and women serving our country. "Words cannot explain my gratitude towards these brave men and women. Without you all serving, there's no telling what could be going on in the world right now. Thank you for keeping us safe." Sign up for the Smiles for Soldiers campaign and show our military service members how much you appreciate them! Rex Leonowicz writes for DoSomething.org. He's a trans/nonbinary/femme writer, poet, and visual/performing artist from Queens, NY. Find him online at rexylafemme.tumblr.com, thewebcrawlers.tumblr.com, and @rexylafemme on twitter & instagram.